Shopmuse is the first shopping platform to bring all museum stores under one site. 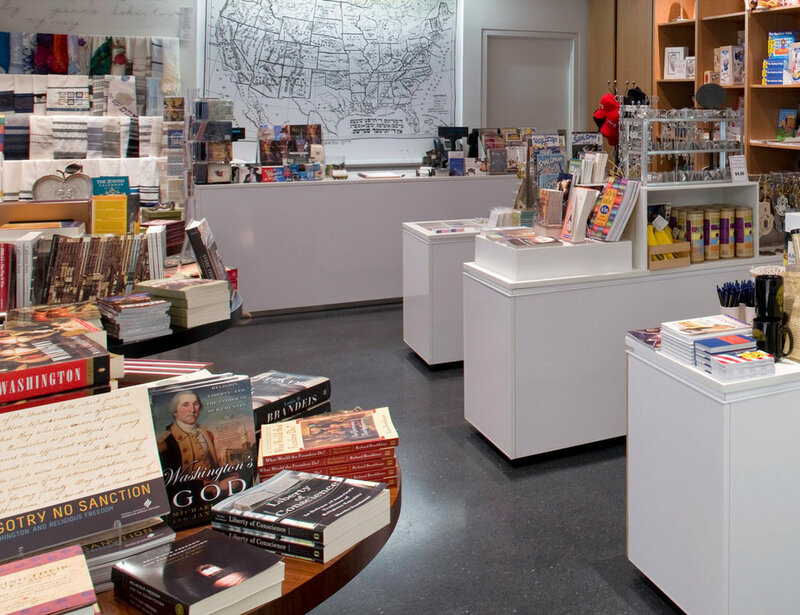 Shopmuse provides a space for museum store to set up an online presence. 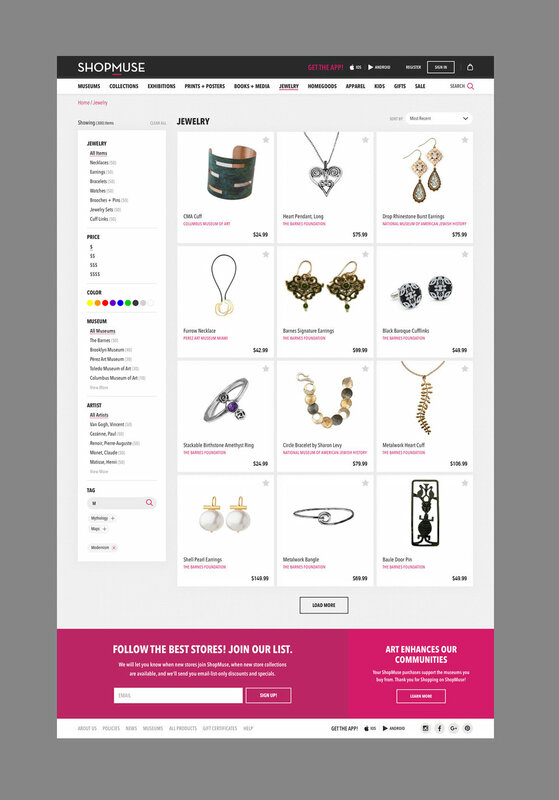 All shop’s wares are can be aggregated together by category, collections or by museum. My role as director of Creative/UX was management of the creative team and the process. One of the main parts I saw as a challenge on this project was two very different users groups. We needed to create a backend experience that met the needs of museums, and positive shopping experience for the customer. I met with the main stakeholder as well as the heads of museums to identify the needs of both audiences. Through some participatory design sessions I was able to create plan and lead the team to a successful launch.